SC-HG1-C has been compatible with iQSS since May, 2017. CC-Link Communication Unit "SC-HG1-C" has been added since January, 2017. 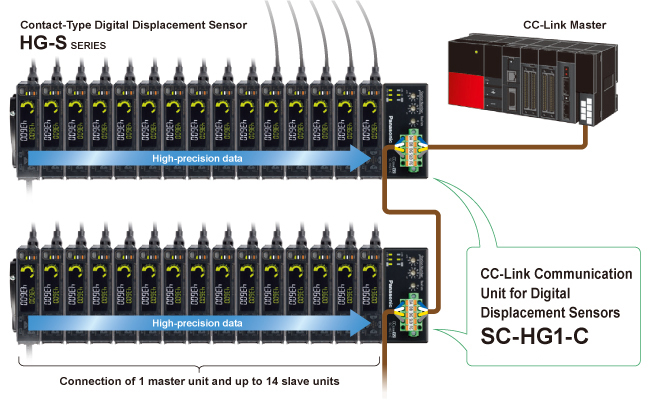 Please check "Contact-Type Digital Displacement Sensor HG-S" as well, which can connect with SC-HG1 series. Transfers not only measurements results obtained at multiple points but also setting statuses as digital data in a batch! Provides powerful support to the management of inspection records and identification of failure causes.